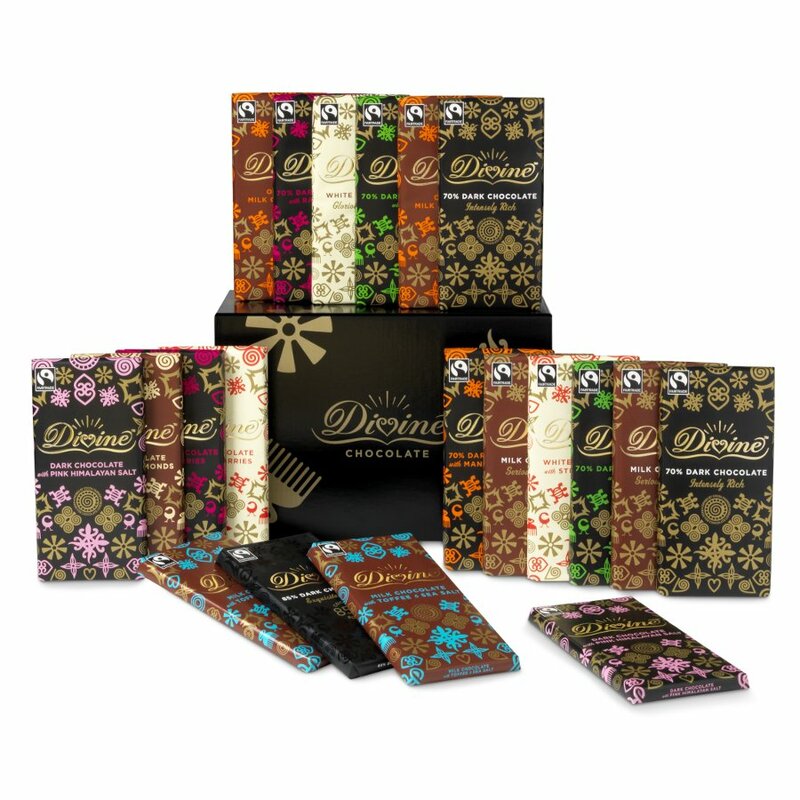 This hamper is over-flowing with delicious Divine chocolate bars that will open the eyes of your friends and family to a whole new world of luxury chocolate. 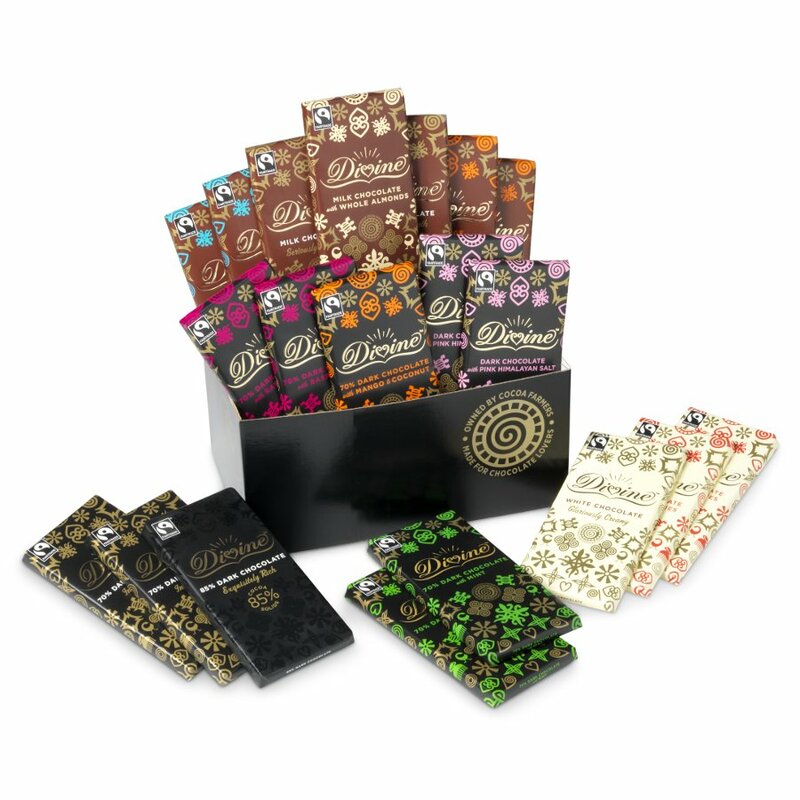 Treat yourself to a wide selection of different blends and flavours that will appease the taste-buds of even the fussiest chocolate-eater. 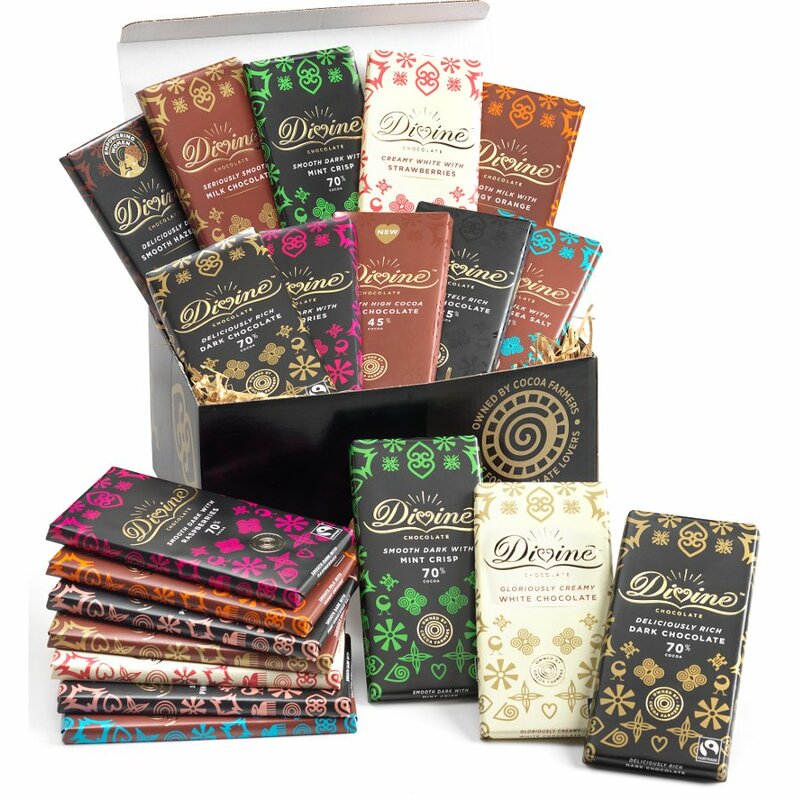 For those with a taste for higher cocoa chocolate, this hamper contains plenty of interesting dark chocolate combinations like the mint crisp bars, raspberry bars and the pink Himalayan salt dark. 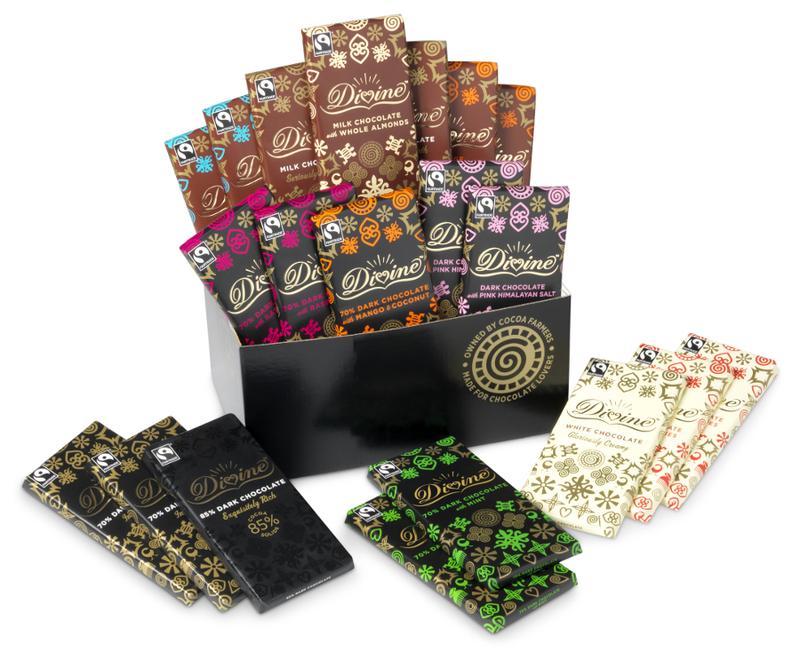 There’s even an 85% dark chocolate bar for those who crave a particularly bold taste. These, plus many more are found within this deluxe hamper; perfect as a Christmas or birthday present for a fan of chocolate. 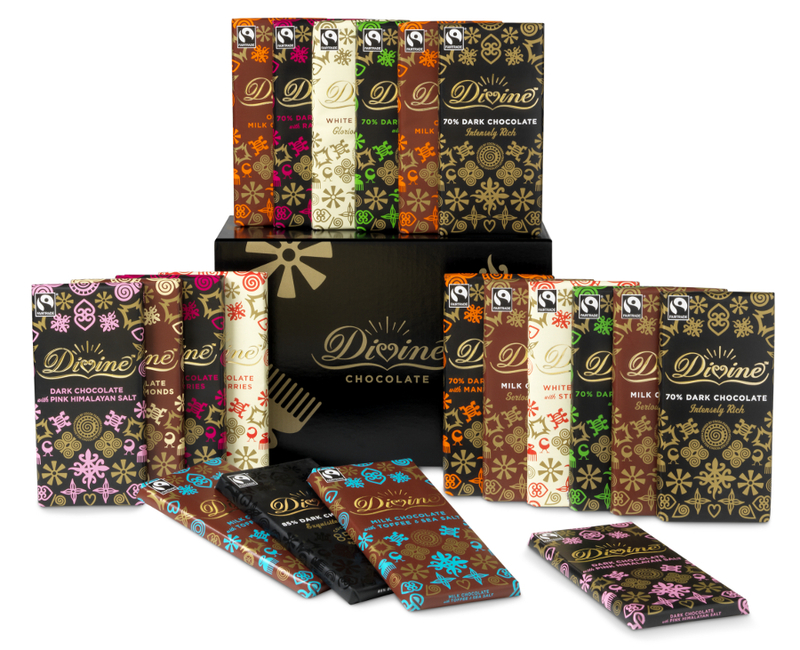 There are currently no questions to display about Divine Ultimate Chocolate Tasting Hamper.